« Horde for Life 106: It’s Called Phototaxis! HFL Poll: Are You Satisfied with the Current WoW Talent “Trees”? 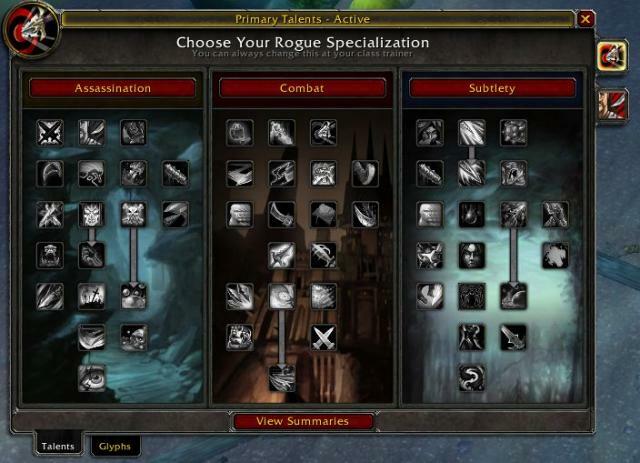 What do you think of the current Talent Tree in Warcraft (if you can call it a tree)? Do you prefer the current system or would you prefer to go back to the old 3 school trees with the understanding that the Blizzard team would have continued to tweak them over the last 4 years? Could they have continued to make it better or was the system a lost cause? Tell us what you think and we will talk about in a future episode! This entry was posted on October 9, 2014 at 1:45 pm and is filed under General, HFL, MMO, Podcast, Polls, World of Warcraft with tags Blizzard, MMO, Polls, RPG, World of Warcraft, WoW. You can follow any responses to this entry through the RSS 2.0 feed. You can leave a response, or trackback from your own site.